So you’re a mobile developer and you’ve just finished developing a new app – perhaps a casual game that could become the next Color Switch or a travel app that lets customers book their next dream trip in the tropics. Whatever the genre, you’re likely setting your sights on next steps – namely, app marketing. Are users who download or engage with apps for rewards really loyal users? Using the right type of rewarded campaign to maximize ROI. To optimize your campaign, make sure to collect data on where your new users are coming from, as well as how loyal and the depth of engagement. By tracking installs and user behavior through app and site IDs that identify each campaign traffic source, you’ll be able to break down user traffic into segments and gain valuable insights and evaluate the true success of your campaign. With the support of Fyber’s account management team, they were able to segment the various traffic sources into one of the three quality groups, making it easier to analyze and take the appropriate actions that resulted in significant campaign performance improvement. Campaign analysis based on developer app IDs is extremely effective for campaigns that have generated 5,000-10,000 installs, which is the baseline we recommend for collecting meaningful data. “Install Campaigns” and “Engagement Campaigns” are a tried-and-true method for increasing ROI and user quality for app distribution using rewarded ad formats. What’s the difference? 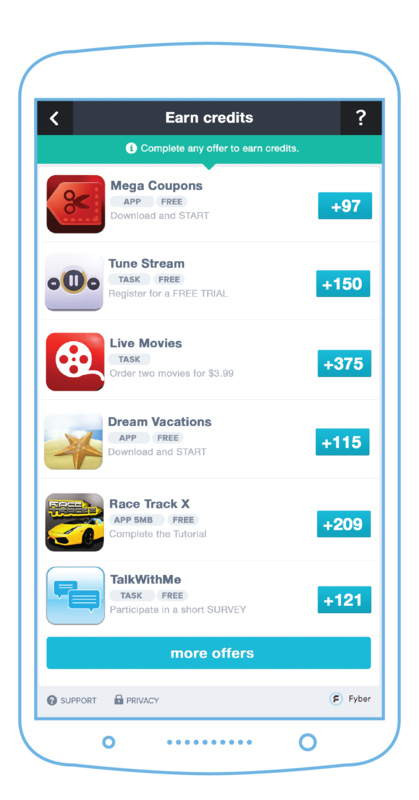 “Install Campaigns” (CPI) will reward users for downloading and opening the promoted app. This type of campaign works well when you’re trying to reach a very wide audience and generate visibility at scale for your app. After tracking installs and identifying the traffic sources that are ROI-positive, you can use “Install Campaigns” to effectively drill down on these traffic sources and maximize your ROI. By adjusting the bid, you can tailor “Install Campaigns” to your needs, be it acquiring quality users at an accelerated pace or sustaining quality download volumes over time. 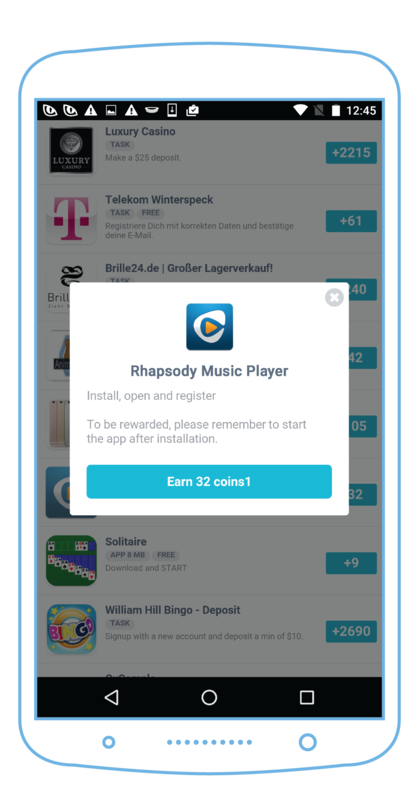 Alternatively, “Engagement Campaigns” (CPE) will ask users to download the app and they must engage with the promoted app before receiving a reward. For example, a music app might request that the user create a playlist, while a game might require the user to play and reach a certain level before. Other popular engagement options include asking the user to fill in a registration form or to complete a tutorial explaining the app. Whatever the ask “Engagement Campaigns” are used to guide users to a specific point in an app’s flow where user conversion rates are the highest. The benefits of helping users understand the apps they are installing are clear: you avoid top-of-funnel churn, and increase the likelihood that they will return to the familiar apps they enjoy. If you’re looking to kick-start an effective user acquisition strategy, our account managers are here to support and guide you through the process. We’re ready to invest in understanding your needs and help you meet your goals. If your style is more independent, we’ll give you the tools you need to lead the way. Download this whitepaper to learn more about Fyber’s mobile user acquisition capabilities, or get in touch with us at [email protected].